A warm welcome always awaits all visitors at Walmley Golf Club, whether as part of a society or simply paying a green fee. 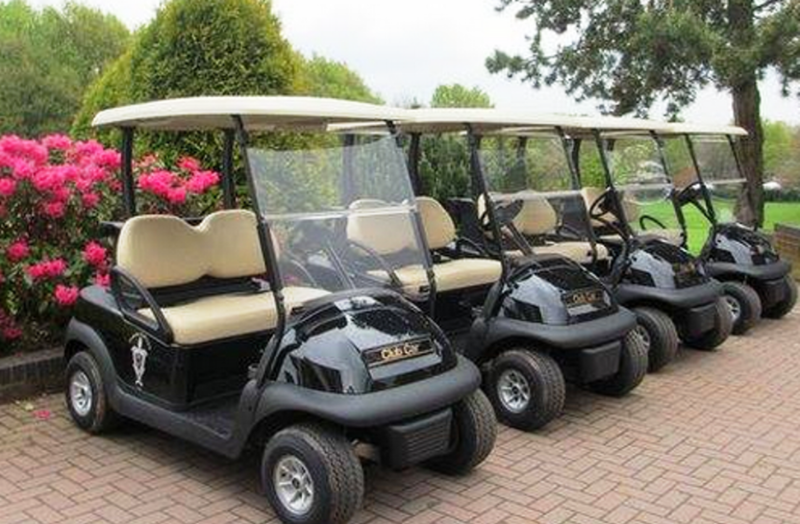 We offer an excellent parkland course in memorable surroundings and afterwards you can relax and enjoy the post-golf ambience of our convivial clubhouse with excellent food. 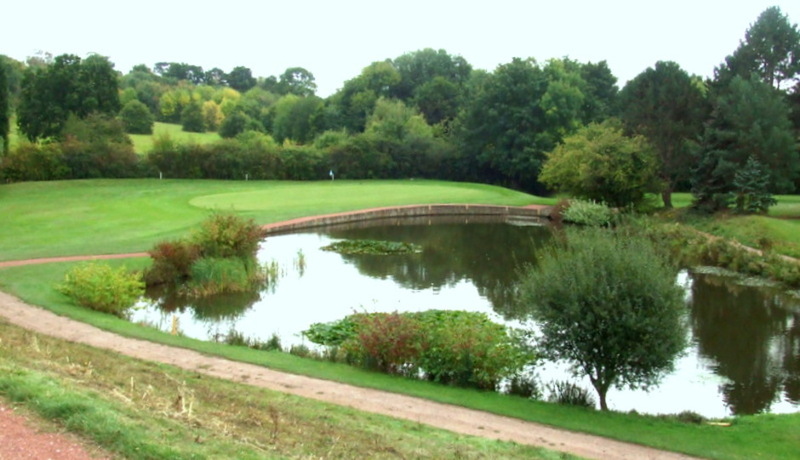 Walmley Golf Club participates in the County Card Scheme which provides substantial discounts on green fees. Visitors using this scheme must book in advance. Last Friday I was at Woking Golf Club; founded in 1893 and consistently ranked in the UK top 100 it was the very first of the great Surrey and Berkshire heathland courses. However, 58 straight days without rain this summer has left its fairways in a sorry state and placing was not only operative but difficult to find some grass to put your ball on. What a joy therefore to come to back to the Midlands and Wonderful Walmley! Not only were the fairways verdant but they were immaculately presented. All the approaches were mown with a crosscut, giving the whole course an appeal that leaves the player with a desire to come back again and again. I walked very carefully across the 18th, to put out the nearest the pin marker, because I almost felt it was sacrilege to stand on something that looked like £60 per-square-meter, green Axminster. Little wonder then that everyone was complementary, both on the day and in the follow up emails I have received. In a chat with Steve Carter, Walmley’s super-pro, I was somewhat disappointed for the club when I found out that their enormous efforts to build a new clubhouse and provide much needed sports facilities for the local community, have been thwarted by a new head planner. I really hope they can resolve this problem because the course deserves it. "At Saunton we are used to good, fast greens and jealously guard our reputation accordingly but what I saw at Walmley on Saturday equalled anything the staff here have produced this year. I must point out that this is an important year for us because we are holding the English Amateur Seniors over both courses this week, the Army Championships and the Air Force Championships during the next few weeks and then the British Inter-Services Championships in September so everything as you might imagine has to be in top condition!" My 1st time at Walmley having played locally for 30 years, course in fantastic condition and a credit to the team. I have been out of action for a while and havn't been able to play golf since January-- until Last Friday when I ventured out and managed eleven holes. What a transformation-- it is obvious that a great deal of high quality and hard work has taken place to produce a course in such excellent condition.Having been a member for forty years I can confidently say I can't remember the course being in such good condition--and not only the condition but also the overall presentation which is also excellent. Walmley must now be the standard for other clubs to try and emulate and I am sure that our reputation will continue to grow. This is a little gem of a course set in the Midlands. First time on and I will be back. Each hole is interestingly put together and not one you would say underwhelmed you. Attractive from the balcony afterwards when enjoying a relaxed drink following the enjoyment of the play. The team here are helpful and welcoming. Worth a trip. First visit here and will be back. Beautiful parkland course without really a weak hole. Quite a number of doglegs with some holes needing shot management to be on the correct side of the fairway to avoid being blocked out. Greens were not quick but putted really true with some big borrows. Saw more green keeping equipment on most holes than we have on our entire course. Lack of food option on a Sunday pm was only gripe. This was my first time playing this course and it won't be the last. The practice putting green is excellent. It was surprisingly quick, but true to the pace of the greens on the course, so the 5 minutes on there really helped get the speed of the putts. Its an open course, wide enough fairways, but lined with trees. The trees are fair, if you go in them, you have a shot out, but not chance of hitting greens from there. As mentioned, the greens are quick and not easy to read, but fair. The course is quite long. There are a couple of par 4s that i couldn't reach in two but actually quite fair off the women's tee (my mum was playing with us). A few dog leg holes, where course knowledge would help know how far you need to go to see the green and some strategically placed trees on the fairway that Id know now how to avoid. The bunkers were good quality all round. An enjoyable and peaceful place to play and a definite course to sample as you won't be disappointed.